Meet the Moodsters is the first in a series brought to you by Jelly Jam Entertainment. 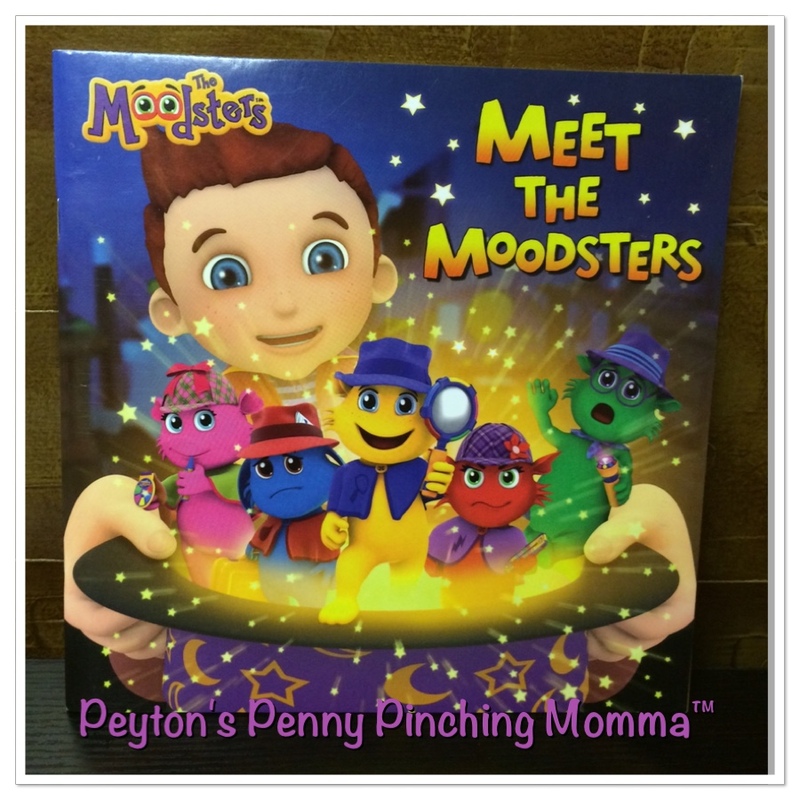 In this first book, Meet the Moodsters, we learn what a Moodster is. Are you wondering what a Mooster is? Well, it’s a small little creature that helps a child understand his or her feelings. There are 5 Moodsters – Lolly (love), Snorf (sad), Coz (happy), Razzy (angry) and Quigly (afraid). Each one represents a different emotion. Zach is in his room trying to perform a magic trick and nothing is going right. Out of a fit of anger and a magic trick gone wrong the Moodsters appear. They are there to help Zach understand and identify his feelings. Right now Zach is feeling a ton of emotions and is not sure how to handle them. But with the help of the Moodsters and their detective skills he soon understand what he’s feeling. Each Moodsters helps Zach identify his emotions through his body language, physical responses and using a feeling thermometer. One they identify an emotion or emotional response the Moodsters help Zach deal with it. Zach learns healthy ways to express himself like instead of stomping around in anger he can talk about it. Meet the Moodsters comes with a feeling meter so your child can learn to identify their own feelings with the help of the Moodsters. Meet the Moodsters is a great book for preschool age and up. Not only is it entertaining but it’s also educational and interactive. Pick up your own copy of Meet the Moodsters and your very own feeling meter at Target. Connect with the Moodsters online, Facebook or Twitter to stay up to date on the latest happenings.